Scooper - Technology News: Purpose or profit: which would give you more job satisfaction? For employers, knowing what makes students want to work for them is crucial. Job security, professional development and pay have all been identified as important factors. But as companies big and small are discovering, one of the most reliable ways to attract new talent is to have a clearly defined purpose. New research into university students’ attitudes towards global employers backs this up. The Universum survey of more than a million career-seekers from 57 countries found that "changing the world" and "making an impact" are common ways for top employers to reach out to young people at the start of their careers. These messages resonate strongly with students’ definition of purposeful work, the report found. And, as the chart below makes clear, students around the world have similar views on what purposeful work is – with a few exceptions. In most of the countries surveyed, "commitment to making the world a better place" feature as a top attribute for employers to have. Most young workers around the world also care about highly "fulfilling and meaningful work" and "commitment to improving people’s lives". 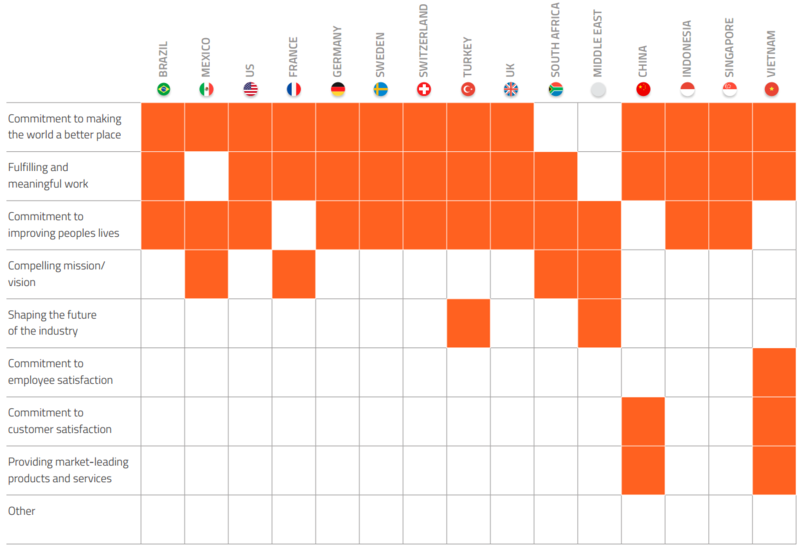 In Mexico, France, South Africa and the Middle East, having a "compelling mission or vision" is seen as more important, while young people in China and Vietnam show concern as to whether their company has a commitment to "customer satisfaction" and "providing market-leading products and services". The survey revealed that young people are more likely to stay in an organization if they receive mentoring and professional development and if they have values that align with those of their employer and a sense of purpose. 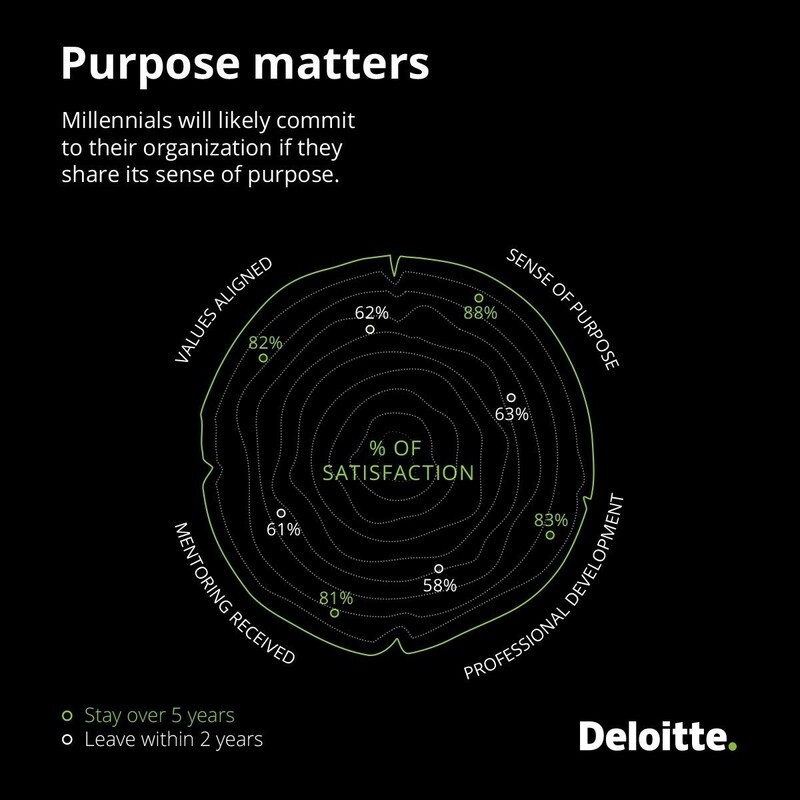 The study also found that 88% of employees who stayed at their organization for longer than five years were satisfied with the sense of purpose in their company, compared with 63% who left within two years. Among the "millennial" generation, if an organization is deemed to prioritize “financial performance before everything else”, only 20% of employees intend to stay for more than five years, according to the survey.